This book offers insights into changes brought about by the enormous growth of the internet. There are new ways to share cultural heritage materials through online finding aids, exhibits, and other initiatives. What has been accomplished across libraries, archives, and museums? The authors consider that question by using case studies to explore activities in 14 libraries, archives, museums, and other heritage organizations. They consider what we can learn from current collaborations within and across libraries, archives, and museums and why some collaborations are successful while others cannot be sustained. Their findings are based on observations and interviews at institutions and organizations in the United States, Australia, and the U.K. These organizations have worked to make their collections accessible. Some have simply digitized their collections, while others have enhanced their collection management systems. Others have incorporated digital asset management systems to organize and retrieve media, and to manage digital rights and permissions. Most of these institutions and organizations have succeeded through strategic partnerships, strategic planning, and insightful leadership. 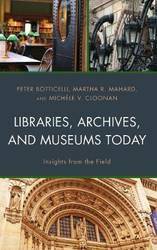 However, the book also contains examples of institutions that have undergone transitions: one of the museums closed, and another closed its library. Taken together, the fourteen institutions shed light on professional practices today. 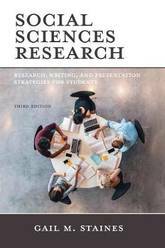 This is a complete revision with new material of the second edition of Social Sciences Research: Research, Writing, and Presentation Strategies for Students (Scarecrow Press, 2008). There have been significant changes in the research process in the social sciences since the second edition of this text was published in 2008 - a decade ago. The plethora of new information technologies (e.g., smart phones, tablets, apps, etc. ); the information overload not only on the Internet where anyone can publish, but also with the explosion of social media (e.g., Twitter, Facebook, Instagram, etc. ); as well as the far reaching changes in databases and other sources of electronic information that is available. Complementing the manual are appendixes consisting of a list of possible research questions, an example paper, a complete set of worksheets, and blank citation forms to be used to record references, which provide further practice for students. In this third edition, the author has included more instruction on searches using electronic sources as well as new formatting guidelines that have been promulgated in the past several years. The ideal resource for college students, this manual addresses the finer points of research and writing that are not given enough instruction in the classroom. 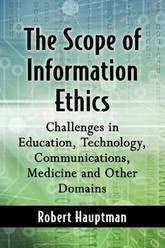 The field of information ethics (IE)-a subdivision of ethics-was developed during the 1980s, originating and maturing in library science and slowly working its way into other disciplines and practical applications. Some years later, a secondary field emerged, emphasizing theoretical and philosophical concepts, with little focus on real-world applicability. The first of its kind, this comprehensive overview of IE evaluates the production, dissemination, storage, accessing and retrieval of information in an ethical context in areas including the humanities, sciences, medicine and business. A leading figure in the field, the author is concerned with misconduct (falsification, fabrication, plagiary), peer review, the law, privacy, imaging and robotics, among other matters. A call to redirect the intellectual focus of information retrieval and science (IR&S) toward the phenomenon of technology-mediated experience. 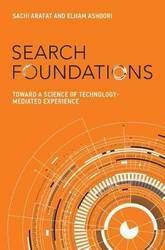 In this book, Sachi Arafat and Elham Ashoori issue a call to reorient the intellectual focus of information retrieval and science (IR&S) away from search and related processes toward the more general phenomenon of technology-mediated experience. Technology-mediated experience accounts for an increasing proportion of human lived experience; the phenomenon of mediation gets at the heart of the human-machine relationship. Framing IR&S more broadly in this way generalizes its problems and perspectives, dovetailing them with those shared across disciplines dealing with socio-technical phenomena. This reorientation of IR&S requires imagining it as a new kind of science: a science of technology-mediated experience (STME). Arafat and Ashoori not only offer detailed analysis of the foundational concepts underlying IR&S and other technical disciplines but also boldly call for a radical, systematic appropriation of the sciences and humanities to create a better understanding of the human-technology relationship. Arafat and Ashoori discuss the notion of progress in IR&S and consider ideas of progress from the history and philosophy of science. They argue that progress in IR&S requires explicit linking between technical and nontechnical aspects of discourse. They develop a network of basic questions and present a discursive framework for addressing these questions. With this book, Arafat and Ashoori provide both a manifesto for the reimagining of their field and the foundations on which a reframed IR&S would rest. 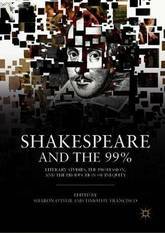 Through the discursive political lenses of Occupy Wall Street and the 99%, this volume of essays examines the study of Shakespeare and of literature more generally in today's climate of educational and professional uncertainty. Acknowledging the problematic relationship of higher education to the production of inequity and hierarchy in our society, essays in this book examine the profession, our pedagogy, and our scholarship in an effort to direct Shakespeare studies, literary studies, and higher education itself toward greater equity for students and professors. Covering a range of topics from diverse positions and perspectives, these essays confront and question foundational assumptions about higher education, and hence society, including intellectual merit and institutional status. These essays comprise a timely conversation critical for understanding our profession in post-Occupy America. Globalizing the Library focuses on the globalization of information and the library in the period following the Second World War. Providing an examination of the ideas and aspirations surrounding information and the library, as well as the actual practices and actions of information professionals from the United States, Britain, and those working with organizations such as Unesco to develop library services, this book tells an important story about international history that also provides insight into the history of information, globalization, and cultural relations. Exploring efforts to help build library services and train a cohort of professional librarians around the globe, the book examines countries in Asia, Africa, and the Pacific during the period of the Cold War and decolonization. Using the ideas of `library diplomacy' and `library imperialism' to frame Anglo-American involvement in this work, Laugesen examines the impact library development work had on various countries. The book also considers what might have motivated nations in the global South to use foreign aid to help develop their library services and information infrastructure. 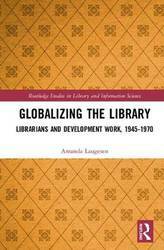 Globalizing the Library prompts reflection on the way in which library services are developed and the way professional knowledge is transferred, while also illuminating the power structures that have shaped global information infrastructures. As a result, the book should be essential reading for academics and students engaged in the study of libraries, development, and information. It should also be of great interest to information professionals and information historians who are reflecting critically on the way information has been transferred, consumed, and shaped in the modern world. You can't get anywhere in your statistics course without grasping statistical significance. it's often seen as difficult but is actually a straightforward concept everyone can - and should - understand. Do your results mean something - or not? How can you measure it? 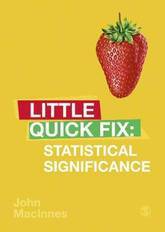 Breaking it down into three building blocks, this Little Quick Fix shows students how to master: - hypothesis testing - normal distribution - p values Students will learn how to understand the concept and also how to explain it for maximum effect in their essays and lab reports. Good for results - this is also a secret weapon for critical thinking. 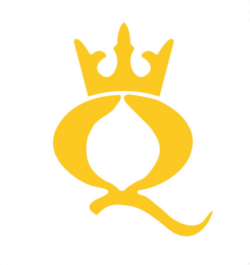 Little Quick Fix titles provide quick but authoritative answers to the problems, hurdles, and assessment points students face in the research course, project proposal, or design - whatever their methods learning is. Lively, ultra-modern design; full-colour, each page a tailored design. An hour's read. Easy to dip in and out of with clear navigation enables the reader to find what she needs - quick. Direct written style gets to the point with clear language. Nothing needs to be read twice. No fluff. Learning is reinforced through a 2-minute overview summary; 3-second summaries with super-quick Q&A DIY tasks create a work plan to accomplish a task, do a self-check quiz, solve a problem, get students to what they need to show their supervisor. Checkpoints in each section make sure students are nailing it as they go and support self-directed learning. How do I know I'm done? Each Little Quick Fix wraps up with a final checklist that allows the reader to self-assess they've got what they need to progress, submit, or ace the test or task. Who could be partners to archivists working in digital preservation? 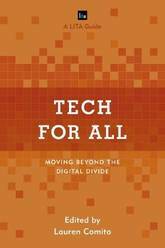 This book features chapters from international contributors from diverse backgrounds and professions discussing their challenges with and victories over digital problems that share common issues with those facing digital preservationists. The only certainty about technology is that it will change. The speed of that change, and the ever increasing diversity of digital formats, tools, and platforms, will present stark challenges to the long-term preservation of digital records. Archivists are frequently challenged by the technical expertise, subject matter knowledge, time, and resource requirements needed to solve the broad set of challenges sure to be faced by the archival profession. 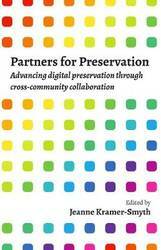 Partners for Preservation advocates the need for archivists to recruit partners and learn lessons from across diverse professions to work more effectively within the digital landscape. Includes discussion of: the internet of things digital architecture research data and collaboration open source programming privacy, memory and transparency inheritance of digital media. 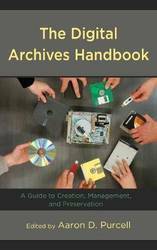 This book will be useful reading for professional archivists and others responsible for digital preservation, students of archival studies and digital preservation. Online Searching puts aspiring librarians on the fast track to becoming expert searchers who unite users with trusted sources of information that satisfy their information needs. To unite users with such sources, master this seven-step online searching process: 1. Determining what the user really wants in the reference interview 2. Identifying sources that are likely to produce relevant information for the user's query 3. Determining whether the user seeks a known item or subject 4. Dividing the query into big ideas and combining them logically 5. Representing the query as input to the search system 6. Conducting the search and responding strategically 7. Displaying retrievals, assessing them, and responding tactically This second edition addresses the implications of new technical advances that affect expert intermediary searchers such as the library's everything search, the choice between classic and discovery OPACs, and the role of digital object identifiers (DOIs) and Open Researcher and Contributor IDs (ORCIDs) in known-item searching. It also advises expert searchers about how today's hot-button issues such as social media, fake news, and truth in the post-truth area figure into the searches they conduct for others and what they teach library users about online searching. 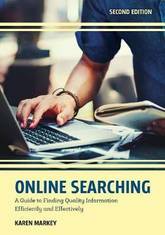 Online Searching contains numerous figures and sample searches to illustrate complex concepts, questions and answers to reinforce key ideas, a sample database to show how online searching works, a technical reading to familiarize yourself with new search systems and databases, and a glossary to facilitate quick look-ups. 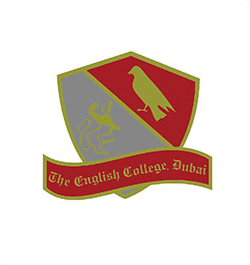 The e-book features enhanced video content. 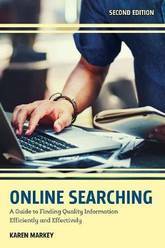 Online Searching is your go-to guidebook for becoming an expert searcher. This book questions if spherology is a philosophy for designers, giving guidance on ways to read Spheres, how to approach the trilogy's indexicality, and apply the key tropes and ethics of atmospheres to digital design. Each chapter includes a design-in, that is a practical entry point into the many tropes of Spheres including- bubbles, globes and foam. The book also applies spherology to an atmosphere design issue involving endangered species and geospatial threats to the environment. Spherology refers to the Spheres trilogy by the philosopher Peter Sloterdijk, which traces spherical ideas, theories, sensations and feelings related to the philosophical concept of `being' and the human-centered position of `being-in'. It is the first cynical, feminist companion of spherology to take a practice-led approach and to cover all three controversial volumes to with and against Spheres. 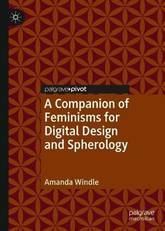 Windle draws on feminist science and technology studies (STS) through parody within reading, writing and design practices. Design provides navigation so that academics and students can engage with spherology through an embodied concern with digital materiality. As a feminist companion for today's design issues, the book is an essential read for feminist STS scholars, design practitioners and digital R&D specialists working both in industry and academia, including more specifically data visualisers, interface and interaction designers. This book investigates how girls' automedial selves are constituted and consumed as literary or media products in a digital landscape dominated by intimate, though quite public, modes of self-disclosure and pervaded by broader practices of self-branding. In thinking about how girlhood as a potentially vulnerable subject position circulates as a commodity, Girls, Autobiography, Media argues that by using digital technologies to write themselves into culture, girls and young women are staking a claim on public space and asserting the right to create and distribute their own representations of girlhood. Their texts-in the form of blogs, vlogs, photo-sharing platforms, online diaries and fangirl identities-show how they navigate the sometimes hostile conditions of online spaces in order to become narrators of their own lives and stories. 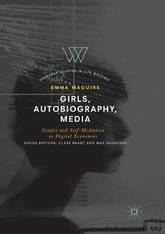 By examining case studies across different digital forms of self-presentation by girls and young women, this book considers how mediation and autobiographical practices are deeply interlinked, and it highlights the significant contribution girls and young women have made to contemporary digital forms of life narrative. 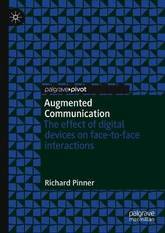 This book explores the ways in which handheld networked devices can be used to enhance and augment interpersonal communication. The author examines in depth how the addition of visual and multimodal input, access to online search engines and the inclusion of participants from distant geographical locations (either synchronously or asynchronously) affects our face to face interactions. Presenting research data from several years of autoethnographic observation, this balanced work reveals the consequences, both positive and negative, of technology-dependent forms of discourse. In doing so, this sociolinguistic perspective fills a gap in the current literature and indicates possible future directions for the study of augmented communication. 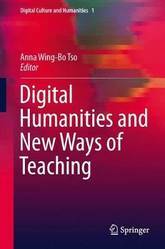 It will appeal in particular to students and scholars of sociolinguistics, applied linguistics and digital humanities. Invisible Search and Online Search Engines considers the use of search engines in contemporary everyday life and the challenges this poses for media and information literacy. Looking for mediated information is mostly done online and arbitrated by the various tools and devices that people carry with them on a daily basis. Because of this, search engines have a significant impact on the structure of our lives, and personal and public memories. Haider and Sundin consider what this means for society, whilst also uniting research on information retrieval with research on how people actually look for and encounter information. Search engines are now one of society's key infrastructures for knowing and becoming informed. While their use is dispersed across myriads of social practices, where they have acquired close to naturalised positions, they are commercially and technically centralised. Arguing that search, searching, and search engines have become so widely used that we have stopped noticing them, Haider and Sundin consider what it means to be so reliant on this all-encompassing and increasingly invisible information infrastructure. 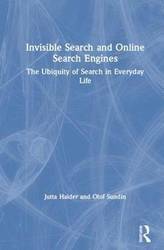 Invisible Search and Online Search Engines is the first book to approach search and search engines from a perspective that combines insights from the technical expertise of information science research with a social science and humanities approach. As such, the book should be essential reading for academics, researchers, and students working on and studying information science, library and information science (LIS), media studies, journalism, digital cultures, and educational sciences. 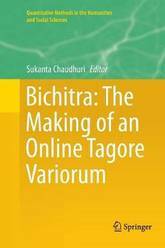 This book documents the creation of the Bichitra Online Tagore Variorum, a publicly accessible database of Rabindranath Tagore's complete works in Bengali and English totaling some 140,000 pages of primary material. Chapters cover innovative aspects of the site, all replicable in other projects: a hyperbibliography; a search engine and hyperconcordance working across the database; and a unique collation program comparing variant texts at three levels. There are also chapters on the special problems of processing manuscripts, and on planning the website. Early chapters take readers through the history of the project, an overview of Tagore's works, and the Bengali writing system with the challenges of adapting it to electronic form. The name Bichitra, meaning various in Bengali, alludes both to the great variety of Tagore's works and to their various stages of composition. Beyond their literary excellence, they are notable for their sheer quantity, the number of variant forms of a great many items, and their afterlife in translation, often the poet's own. Seldom if ever has the same writer revised his material and recast it across genres on such a scale. Tagore won the Nobel Prize in 1913. By its value-added presentation of this range of material, Bichitra can be a model for future databases covering an author's complete works or other major corpus of texts. It offers vastly expanded access to Tagore's writings, and enables new kinds of research including computational text analysis. The book of the website shows in technical and human terms how researchers with interests in art, literature and technology can collaborate on cultural informatics projects. Library residency programs can be a great opportunity for early-career librarians to learn on-the-job-skills, determine their interests in librarianship, and develop a valuable career network. 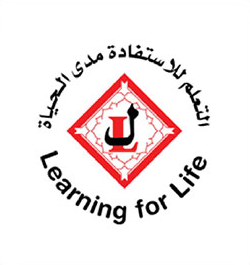 Likewise, such programs benefit the profession, the hosting organizations, and other organizational stakeholders. 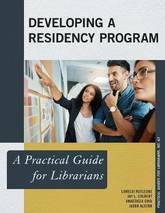 Developing a Residency Program: A Practical Guide for Librarians draws together scholarly literature, best practices, and the experiences of the authors and their contributors to provide practical advice about how to develop and manage a library residency program. 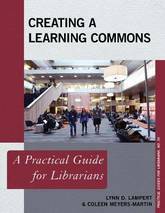 The first two chapters of this book offer a brief overview of library residency programs and illustrate the benefits that such programs can provide. Chapters 3 describes strategies for building support for such a program, while Chapters 4 and 5 provide insight on best practices for structuring a residency program. Chapter 6 focuses on the recruitment and hiring process, emphasizing the need for a reasoned and objective approach to selecting a candidate. Chapters 7 and 8 offer best practices for preparing for new resident's arrival and onboarding the resident successfully. Chapter 9 offers ideas for how to assess and evaluate multiple aspects of the residency program, while Chapter 10 focuses on supporting the resident after the residency is over. In each chapter, the authors include practical tips and tools to make each part of the planning and management process easier. The subject of the use of social media has renewed interest because of the impact that it had on the last U.S. presidential election and the impact that social media networks will have on subsequent elections. As guides in the information world, it is thus important that librarians be well versed in social media. 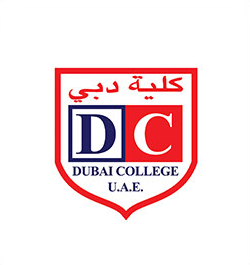 This has called attention to the relevance and urgency of incorporating social media use into the academic library, both as a marketing tool and as an instruction tool. 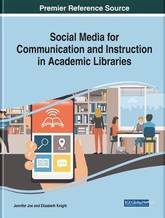 Social Media for Communication and Instruction in Academic Libraries is an essential reference source that offers guidance in using social media in academic libraries and in instruction with a special emphasis on assessment and evidence-based practice. 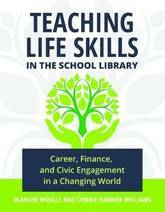 Featuring research on topics such as digital libraries, marketing, and web analytics, this book is ideally designed for librarians, administrators, educators, managers, information technology specialists, professionals, researchers, and students. Here is an accessible, step-by-step, easy to understand, and hands-on resource for any librarian who is interested in learning basic marketing tips to raise the profile of their library. 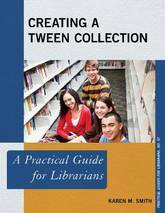 While other books on library marketing are dense and assume that the library has a full-time marketing staff person, a publicist, a graphic designer, and a big fat budget., this book offers tips and tricks (often free) that any librarian can do to market the library. 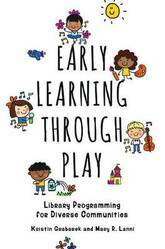 It will focus on the small changes to the services a library provides to raise its profile. 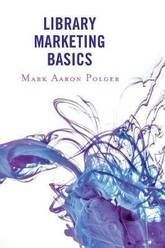 Library Marketing Basics is designed for beginners who are new to library marketing. Any librarian can market their library, but they must understand what true marketing is all about, and how to do it right. In this guide, you'll: *Learn what true library marketing is, and what it's not *Plan a large scale marketing campaign / awareness campaign on a shoestring budget *Learn how to market yourselves as librarians! *Develop your own professional identity and brand *Learn tips and tricks on obtaining buy-in from your colleagues and the entire organization, even if they are resistant! 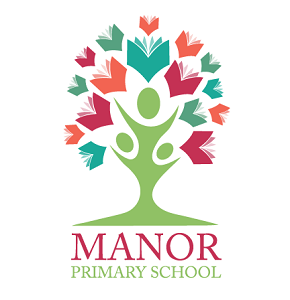 *Learn how to develop relationships with stakeholders in order to raise the profile of your library You'll also find practical examples from the non-library /corporate sector on how to use currently existing marketing tools and apply them to your library. 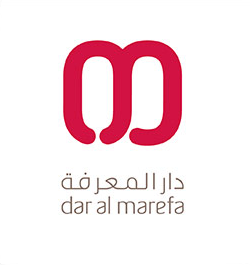 The book focuses on developing a library brand, in addition to creating an effective marketing plan, social media guidelines, identifying assessment tools, and providing best practices when developing signage, writing website vocabulary, and designing promotional materials. Library Marketing Basics will show that you don't need a big budget to market the library. You just need a small team of like-minded colleagues to brainstorm creative ways to raise awareness with your audience. Marketing is all about the valuable intangible and tangible aspects (of your library) and how you connect them with your users. Luciano Floridi presents an innovative approach to philosophy, conceived as conceptual design. He explores how we make, transform, refine, and improve the objects of our knowledge. His starting point is that reality provides the data, to be understood as constraining affordances, and we transform them into information, like semantic engines. Such transformation or repurposing is not equivalent to portraying, or picturing, or photographing, or photocopying anything. It is more like cooking: the dish does not represent the ingredients, it uses them to make something else out of them, yet the reality of the dish and its properties hugely depend on the reality and the properties of the ingredients. Models are not representations understood as pictures, but interpretations understood as data elaborations, of systems. Thus, Luciano Floridi articulates and defends the thesis that knowledge is design and philosophy is the ultimate form of conceptual design. 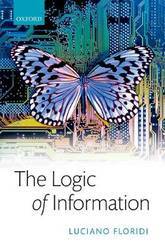 Although entirely independent of Floridi's previous books, The Philosophy of Information (OUP 2011) and The Ethics of Information (OUP 2013), The Logic of Information both complements the existing volumes and presents new work on the foundations of the philosophy of information. Librarians have always been responsible for creating graphic designs but in the digital age the need for visual communication skills has multiplied significantly. The quantity of graphic design tasks has increased, so has the demand and expectation of the quality of the products that are produced. 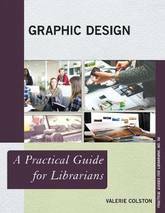 Graphic Design: A Practical Guide for Librarians gives librarians the help they need. Written by an artist and graphic design instructor the book has the tools and information librarians want and need to know to make their job easier and to give them confidence in creating professional looking designs. Valerie Colston makes graphic design easy to understand and fun to learn. The book outlines what you need to know as a librarian designer in a simple way, and provides an abundant about of resources and examples of good design models. 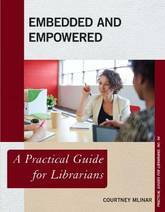 This book addresses the lack of training that many librarians feel and strives to empower them with confidence and practical skills. Librarians will learn the language of design, discover resources and where to find them, explore line, color, shape, texture, and space, discover the role and importance of fonts, learn where to locate images, and get tips for creating an artist's portfolio.